It's almost gone! 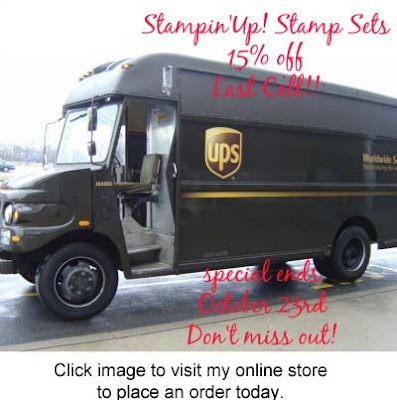 Today is the last day you can order stamp sets from the Annual Catalog or the Holiday Catalog at 15% off retail. So, don't delay! Order now! Don't miss out on this great sale! It ends tonight at 12:55 a.m. Central Time.